You love wearing saris but the chilly winter deters you from opting the six-yard wonder, right? A new twist to your sari-draping tales will not just keep you warm this winter but will also make you stand out among a sea of Anarkali suits and gowns at weddings. A smart way to drape a sari in winters is to add layers to your ensemble. You can wear a jacket or long coat in silk or velvet that keeps you on top of your fashion game as well as keeps you warm. Choose a brocade, embroidered or sequined jacket that goes with your plain sari. Keep the sari and jacket contrasting or opt for different tones of the same color to keep your ensemble lively. Look beyond woolen scarves to shield your neck from the chilly winds. You can wear a high-necked blouse or team your sari with a sweater. A sequined sweater or one with a little shimmer will beautifully complement your sari and add a distinct dimension to your ensemble. Club your formal black or grey blazer with a plain cotton sari and look on point at work. Trench it! You can totally look chic in a sari by layering it with a crisp and classy trench coat. You can also wrap around a knitted muffler to add heaps of style to your look. The attire is perfect for work-wear. How about a woolen turtleneck blouse! 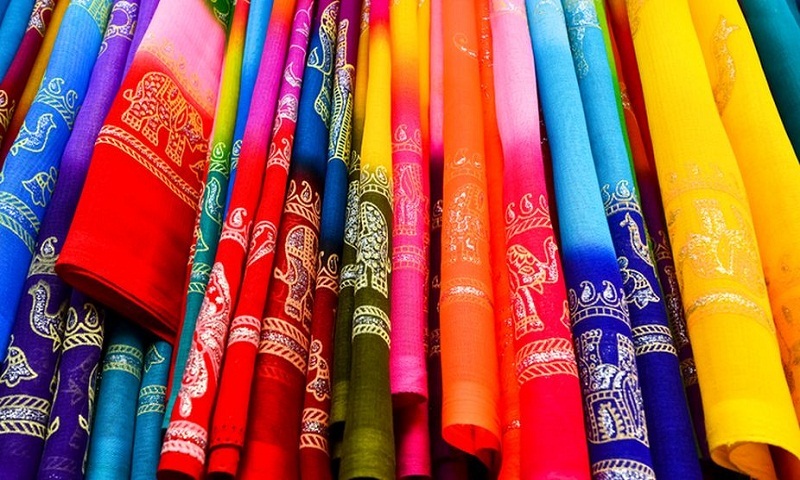 Pick any of your turtleneck sweaters and team them up with your favorite saris. Go for a contrast while pairing up woolen blouses for saris. You can team up your magenta turtleneck sweater with a powder pink sari. For sporting some extra fall, layer your saris with a woolen waterfall shrug. Go for wintery hues like taupe, fawn, navy or the classy black.